107.5 g/t gold and 880 g/t silver over 6.90 meters core length (multiple samples greater than the upper 500 g/t analytical limit for tellurium). High-grade quartz vein intersection is near-surface (18 to 24 meters vertical depth), near high grade intersections of COD18-45, 46 and 67 indicating high grade ore shoot. Part of exploratory shallow drilling designed to define high-grade mineralization and expand the understanding of controls on mineralization. 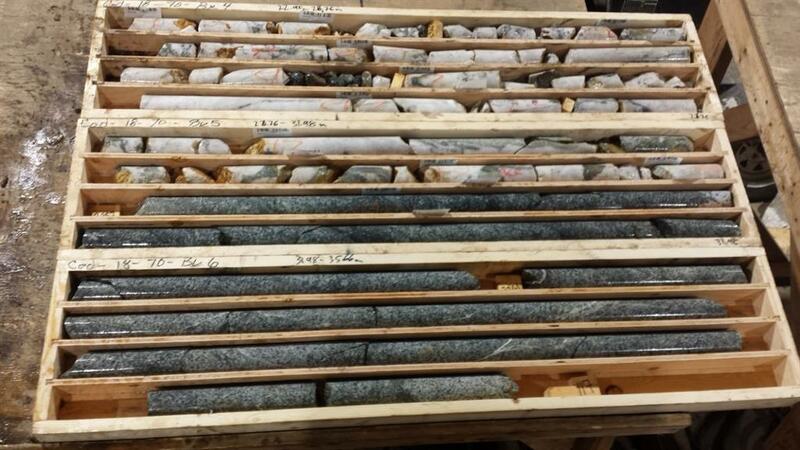 The November 2018 diamond drilling program (11 drill holes: COD18-61 to COD18-71) tested the southwest region of the COD vein in an area of high-grade gold and silver mineralization. The COD vein is located within the Gold Drop Southwest Zone. 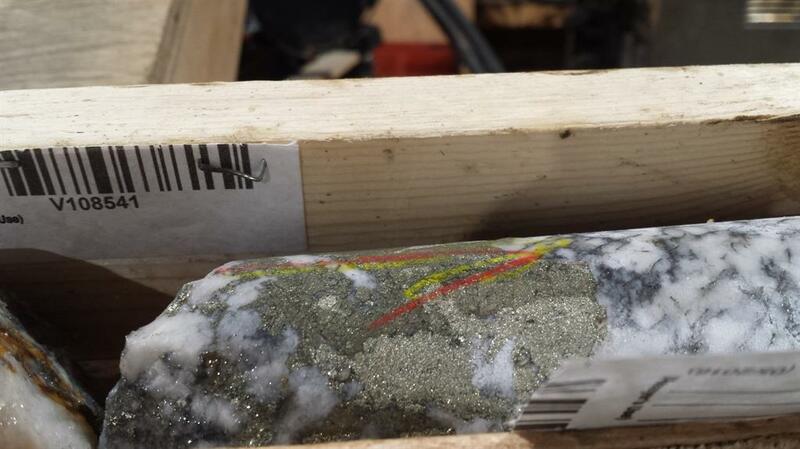 Prior 2018 drill holes in this part of the COD vein intersected near-surface high-grade gold and silver mineralization. The COD vein strikes approximately northeast-southwest. Intersections exceeding 1 g/t gold for drill holes COD18-68 to COD18-71 are listed in the table below. Since true widths cannot be accurately determined from the information available the core lengths (meters) are reported. (including 167.5 g/t gold, 1,370 g/t silver & >500 g/t tellurium over 0.46 meters). (including 223 g/t gold, 1,535 g/t silver & > 500 g/t tellurium over a 0.30 meters). (multiple samples exceeding upper 500 g/t analytical limit for tellurium). The close-spaced intersections of COD18-45, 46, 67 and 70 all occur within 18-25 meters vertical depth indicating a high-grade ore shoot. Analytical results for drill holes COD18-61 to COD18-64 were reported in the Company's News Release of January 9, 2018, the highlight being 28.0 g/t gold, 424.7 g/t silver and 150.4 g/t tellurium over 1.17 meters core length in COD18-63. 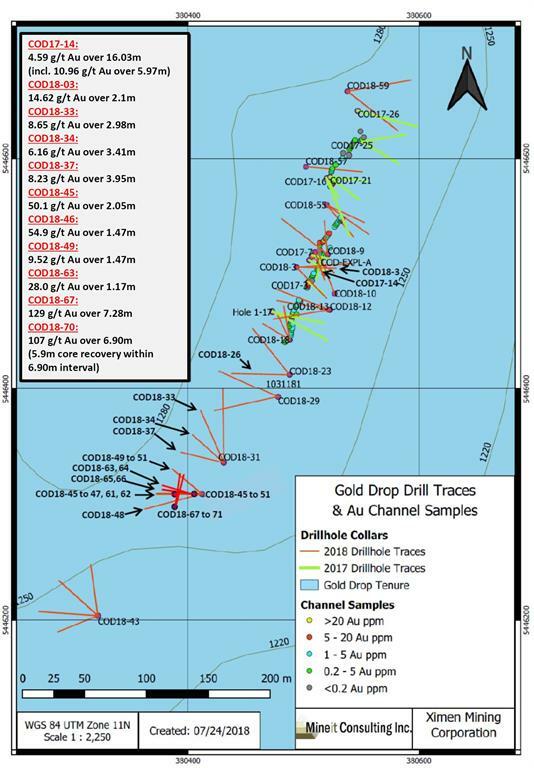 Analytical results for drill holes COD18-64 to COD18-67 were reported in the Company's News Release of January 11, 2019, the highlight being the intersection of 129 g/t gold and 1,154 g/t silver over 7.28 meters core length in COD18-67. Holes COD18-61 to COD18-66 were drilled to the west and slightly northwest at dips of 45 to 60 degrees to intersect the approximately northeast striking vein(s). Holes COD18-67 to COD18-71 were drilled at dips of 45 to 60 degrees slightly northeast to intersect the vein(s) at a shallower angle, the objective being to test the continuity of the quartz veining and mineralization. Although drill holes COD18-67 and COD18-70 were not drilled perpendicular to the strike of the COD vein, they still show the exceptional high-grade nature of the vein, possibly being, or leading to, a "motherlode"-style feeder system. As the Company continues reminding of the old saying "we drill for structure and we drift for grade", both holes indicate how potential drifting may encounter the vein in case a potential production decision can be made in the future. Drilling along veins at slight angles helps in locating possible "ore shoots" and gaining a structural understanding of its vertical and horizontal orientations/extensions for targeted follow-up drilling. 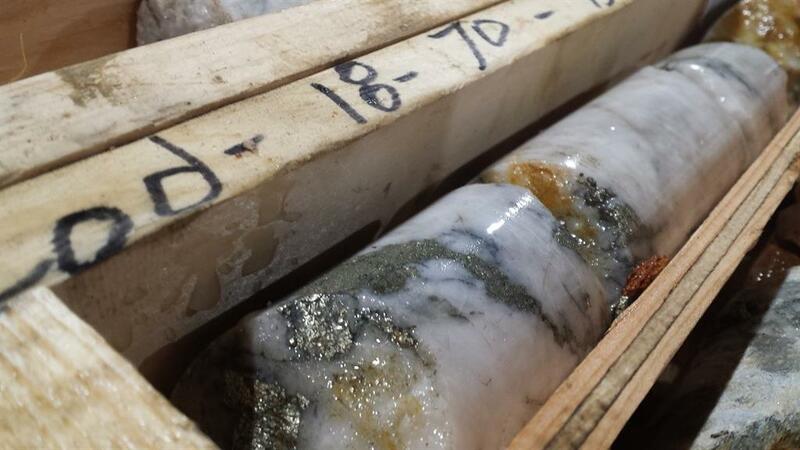 Gold and silver bearing quartz veins occur in multiple regions on the Gold Drop property with high grade gold reported (samples exceeding 1 oz. / ton gold reported). Historic gold and silver production occurred at the Gold Drop, North Star, Amandy and Roderick Dhu vein systems.